Skywalker Roofing is one of the best-known roofing contractors in NC, and we offer thorough roof inspection services that evaluate structural support, exterior/interior conditions, roofing materials, and quality of workmanship. We can determine if a roof is in good condition or if it needs repairs. Our evaluation is presented to our clients as a digital video analysis, along with an in-depth discussion of any recommended repairs. Structural Stability and Support: A roof that does not have proper support or has areas where the support structure is weakened will be flagged by our roof inspectors. Interior and Exterior Surfaces and Elements: The inspector will carefully examine all the components that a roof system needs to be in good working condition. Materials Used in Roof Construction: Roof materials have a certain useful life before needing replacement. It is always a better idea to repair or replace a roof before a serious problem arises. Knowing the approximate lifespan of the roofing materials used will help make the decision to repair or replace the roof based on the inspection findings. Quality of Workmanship: Even the best roofing materials may not perform well if the installation was not performed correctly. A quality roof is an integrated system that requires all the components to be assembled and installed properly by skilled hands. Who benefits from a formal roof inspection? Roof inspections are requested by real estate companies for properties that are either listed for sale or pending contract. A roofing inspection may also be requested by the real estate buyer, if the seller does not provide this information. Buyers should check for any roof problems before making a purchase. Some real estate property owners conduct an annual roof inspection as part of their property maintenance. Consistent roof maintenance extends the useful life of any roof! Roof inspections, which are obtainable from Skywalker Roofing for a small fee, differ from getting a free estimate for roof repairs (that we also provide) in that they are more detailed. In addition to the roof itself, the entire building is evaluated inside and out. The inspection report also may become one of the the required steps to complete a real estate transaction. Helpful Hint: For any immediate troubles, such as leaks, get a free roof repair estimate from Skywalker Roofing as soon as possible. The repairs should be made right away to avoid further damage to the building’s structure and/or its contents. The inspector will come to the property and first take a look at the overall appearance of the roof by checking the exterior and then inspecting the interior for evidence of leaks or roof damage. Throughout the inspection, the inspector takes digital video to create the report. After the inspection, the inspector prepares an estimate of the repair costs. On the roof, the inspector looks to see if there is any surface degradation and/or any obvious damage to the roof. The inspector checks the condition of any chimneys, drains, fascia, gutters, skylights, and vents. The inspector also takes a look at any areas where water may collect, such as valleys in the roof where different sections connect. Inside the building or home, the inspector looks for evidence of ceiling cracks, water stains from previous leaks, and active leaks that have made the walls or ceiling damp in places. While you’re thinking about it, go ahead and give us a call at 336-627-5596 to schedule your roof inspection now, so you don’t forget to do it! If the roof is shingled, the inspector notes any warped, curled, broken, or missing shingles. For tiled roofs, the inspector looks for broken or missing tiles. For asphalt roofs or other roof coverings, the inspector looks for places where the asphalt was not installed properly, is worn down, or has deteriorated. All of these items may be a source of leaks now or sometime in the future. When examining the exterior roofing, if the roof inspector notices something out of the ordinary, it may warrant further in-depth inspection, even in ways that are not listed here. An example of this is removing a part of a roof covering to look at the condition of what is underneath. Our roofing inspectors have many years of experience in seeing potential problems that might later require significant repairs. These issues are better dealt with in a proactive manner before a bigger problem occurs. When examining the interior of a home or a building, it is important to look for present troubles as well as evidence of past damage. The reason for this is that roof leaks have a tendency to grow more serious after they begin. For example, a small roof leak which went unnoticed during last year’s rainy season, may turn into a much more serious leak this year. To the well-trained eye of our roof inspectors, a tiny leak that leaves just a little bit of evidence in the interior is something that draws their attention. Smart homeowners know the value of properties in tip-top condition. To keep it in good shape, they follow a simple advice: know the house inside out, particularly the roof. You never know what’s happening under those shingles. Neglecting regular inspections might result in a serious leak or worse. In the long run, this neglect could compromise your home or your quality of life. Regular roof inspections offer peace of mind, and may also provide improved insurance premiums or vital building code compliances. 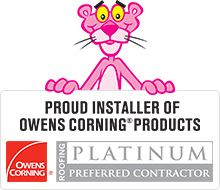 Our customers are very satisfied with our roof replacement services. 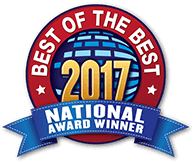 We are one of the largest roof replacement contractors in North Carolina, with an excellent reputation since our founding in 2003. 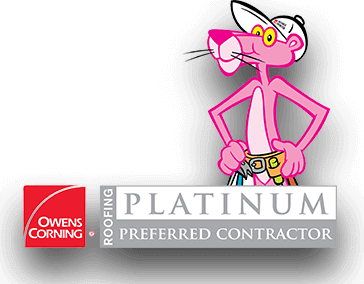 Our rating is A+ by the Better Business Bureau for roof installation services. customer.service@skywalkerroofingnc.com, or call us at +1 (336) 338-8620.